Myanmar 2020 – Rohingya Citizenship: Now or Never? Myanmar’s 1982 Citizenship Law is not just a tool for denying the Rohingya their rights, it has also contributed to the military’s acts of genocide against them. 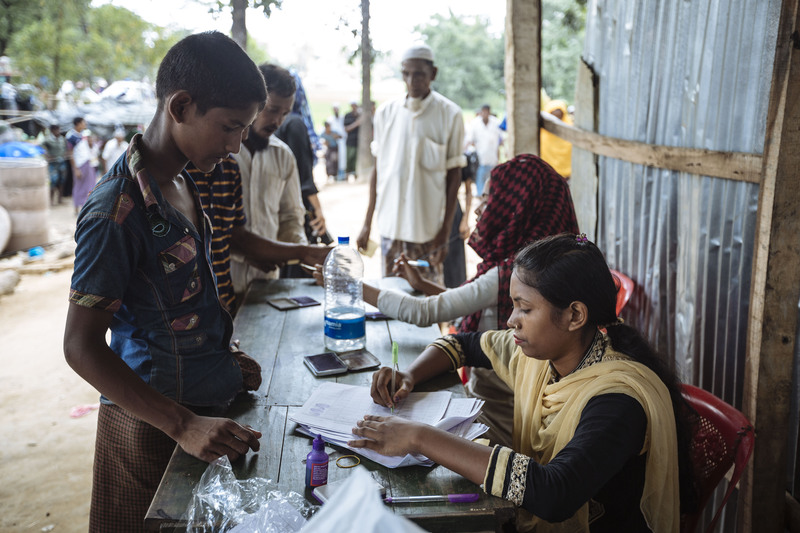 With elections in two years, the next 12 months may be the last chance to reform the law, give the Rohingya their long overdue citizenship rights, and help create conditions for the safe return of a million Rohingya refugees in Bangladesh. Mark Farmaner (Burma Campaign UK) writes that the international community must not miss the opportunity. Myanmar’s next general election is exactly two years away. Two years may sound like a long time, but in just over a year the upcoming election will be the only thing politicians in the country will focus on. By then, no amount of international pressure would persuade the National League for Democracy (NLD) and Aung San Suu Kyi to spend any of their political capital on any controversial legislative reforms, such as the long overdue repeal of the repressive Citizenship Law of 1982. For years this law has not only discriminated against the Rohingya, but recently contributed to the attempts to remove them Myanmar. There is a common misconception that genocide happens when there are mass killings or massacres of a population. Killing members of a group is one of the crimes which can be classified as genocide, but the Rome Statute of the International Criminal Court details four other acts which can also constitute genocide. When the United Nations Independent International Fact-Finding Mission on Myanmar made its conclusion in August that genocide is taking place against the Rohingya minority in Myanmar, it found that four of the five acts that constitute genocide had taken place. One of them, ‘deliberately inflicting on the group conditions of life calculated to bring about its physical destruction in whole or in part’, relates directly to the denial of citizenship to the Rohingya. The denial of citizenship to the Rohingya people is not just one of the tools used to try to drive the Rohingya out of the country. It is one of the foundation stones which underpins prejudice and violence against the Rohingya. By denying Rohingya citizenship, the government of Myanmar is officially saying that they are foreign to Myanmar, and do not belong in the country. In the mind of many in Myanmar this, in turn, justifies prejudice against them, and for some, even justifies the most horrific human rights violations. Challenging prejudice and changing attitudes may take generations to address but this process cannot begin until the citizenship issue is addressed. The single most important step the government of Myanmar can take is to reform or replace the 1982 Citizenship Law and give citizenship to all Rohingya. In 2016 Aung San Suu Kyi established a commission into the situation in Rakhine State, where most Rohingya used to live. It was chaired by Kofi Annan. The focus of international pressure on the government is currently to implement the recommendations of this commission. However, on the most critical issue, citizenship, the Commission made big compromises. It was dominated by members from Myanmar, and Rohingya were excluded. Instead of a clear recommendation to reform or repeal the Citizenship Law and grant citizenship to Rohingya, the Commission recommends that the Myanmar government implements the current 1982 Citizenship Law. The international community is, therefore, urging the government of Myanmar to more fully implement a law that violates international law. The Rakhine Commission recommendation of an “acceleration of the citizenship verification process… under the 1982 Citizenship Law” is unacceptable to Rohingya. There is no legal requirement for the government of Myanmar to have to go through this process. The Rakhine Commission recommendations on reform or repeal of the 1982 Citizenship Law are also far too vague and weak when it comes to implementation. There is no urgency, timeline or deadline given. They ask for another process, another review, to add to the many processes, committees and reviews which already exist. They suggest the government ‘might wish’ to consider recommendations regarding changing the law which should be considered essential. No moves have been made to set up a review and government officials are still stating the law will not be changed. There is no time left for this sham ‘pathways’ approach. It is clear that Aung San Suu Kyi doesn’t want to change the 1982 Citizenship Law. If she wanted to, she could push through a change in the law at any time. She has the parliamentary majority she needs and the military could not stop her. There is no guarantee this will be the position after the next election, which means pressuring Aung San Suu Kyi to change the Citizenship Law now may be the only chance there will be to ensure citizenship for the Rohingya. The political hit of changing the Citizenship Law during this period will be considered too high by the NLD leadership next year. As far as the Myanmar government and many people in Myanmar are concerned, there will never be a good time to give Rohingya their citizenship. The coming 12-14 months however, may be the only time it is possible, and will certainly be the easiest time to make it happen. 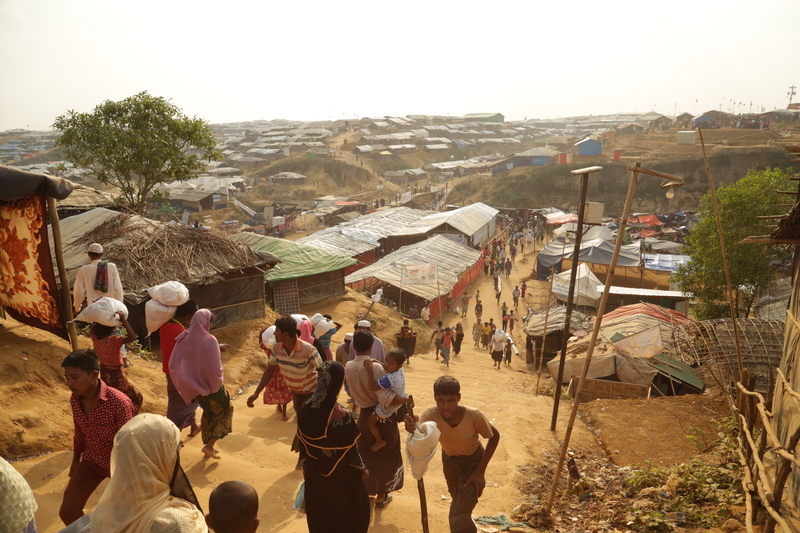 The window of opportunity to change this law, helping to start a process of creating conditions for safe return for a million Rohingya refugees now in Bangladesh is closing. There needs to be a sense of urgency in making this happen. This should be the top focus of international pressure on Aung San Suu Kyi and her government. Without that pressure, it will not happen, protracting the refugee crisis, delaying the start of a solution, and prolonging an unstable situation which could erupt into a new crisis at any time. November 2nd, 2018|Featured, Human Rights, Law, Politics|Comments Off on Myanmar 2020 – Rohingya Citizenship: Now or Never?